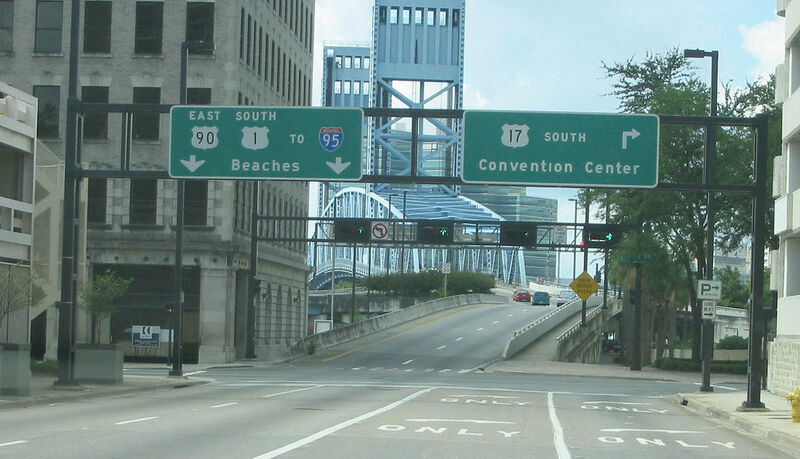 Highway signs downtown bode poorly for pedestrian safety. Photo by SPUI. All the hype about cell phone use being to blame for pedestrian deaths doesn’t hold up when you review the data. To get a sense of the real sources of risk for people on foot, it helps to look at where fatal crashes happen, because fatality rates have a very strong geographic component. That’s true both within cities — where fatalities tend to be concentrated on a relative small share of streets — and from city to city. A new study from researchers at the University of Wisconsin-Milwaukee finds huge disparities in the risk of walking and biking between different American cities. The likelihood of being killed is about five times higher in the most dangerous regions than in the safest ones. 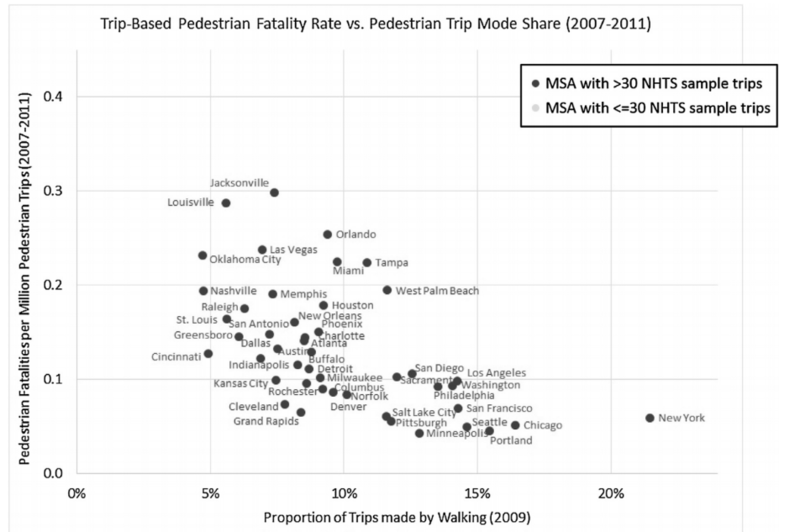 Several Florida cities, as usual, are among the most dangerous for walking, while cities with stronger transit systems and walkable street grids tend to be the safest. To assess the relative safety in these cities, authors Robert Schneider, Aida Sanatizadeh, and Jason Vargo used federal travel survey responses and crash fatality data. By factoring in how much people walk and bike, they were able to compare safety per trip, not just per capita, though the authors caution that the bike safety data is less robust than the pedestrian data. In either case, the findings suggest an important connection between walk-friendly and bicycle-friendly communities and safety, he said. Perhaps data that was more recent than 2011 should have been used for the study? Newer data might yield different results.